If you see Rocky, call Virginia Beach Animal Control at (757)-385-5000! 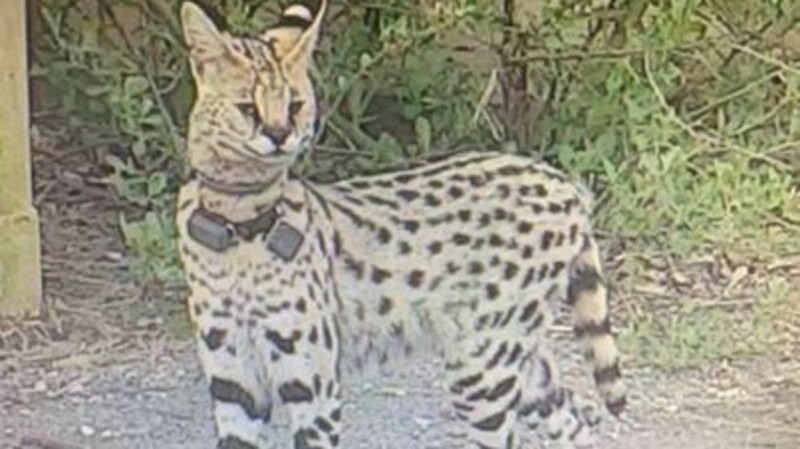 A serval African cat named Rocky was spotted roaming around, near the 2300 Block of Shore Drive in Virginia Beach on Wednesday morning. Rocky's owner, Brian Hankins, is on his way to Virginia Beach to help locate and capture the cat by setting out traps. Rocky has been missing since October from Kitty Hawk, North Carolina, 86 miles from his spotted location. Hankins has described Rocky as an escape artist and hopes to capture him soon! 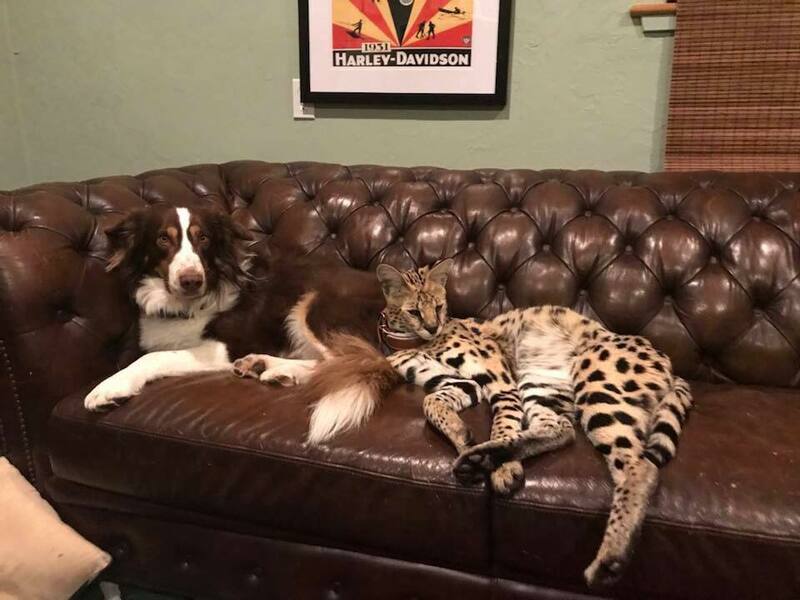 The serval cat, native to Africa, can walk an average of 20 miles per day, so Rocky has been apparently been taking it slow and wandering around the areas he's visiting. He weighs roughly 25 pounds and is 25 inches tall, and he survives by hunting for small rodents and birds. According to a report by Fox News, Rocky is a friendly, domesticated cat who is familiar with humans, children, and dogs, but it is advised that you not approach him for your safety and out of fear that he might run away. The Virginia Beach Animal Control is asking that if you spot him, please contact them at (757)-385-5000. He is wearing a black collar with a GPS locator (the batteries died three days after he left home). Rocky was spotted by Virginia Beach resident Andrew Cathin two weeks ago on Shore Drive. He took photos and videos of the cat that have since then been shared with media companies. Cathin is concerned for the children who play in the neighborhood. "I took out my phone and just tried to snap a quick video of him," Cathin said. "It was a little terrifying, to be honest. I’m a big, tough guy, but a cat that big — it was probably up to my thigh." We at OCN hope that Rocky is reunited with his owner soon! Although he is cute and friendly, please refrain from petting him if you see him! Have you seen Rocky wandering around your neighborhood? Have you reported his sighting? Tell us in the comments!